The Jerusalem cross under the altar is made of mixed medal used in the tabernacle enclosure. The stone was hand picked from a rock quarry by both the pastor Fr. Pat Click and the associate pastor Fr. John Kiefer who fashioned the altar. 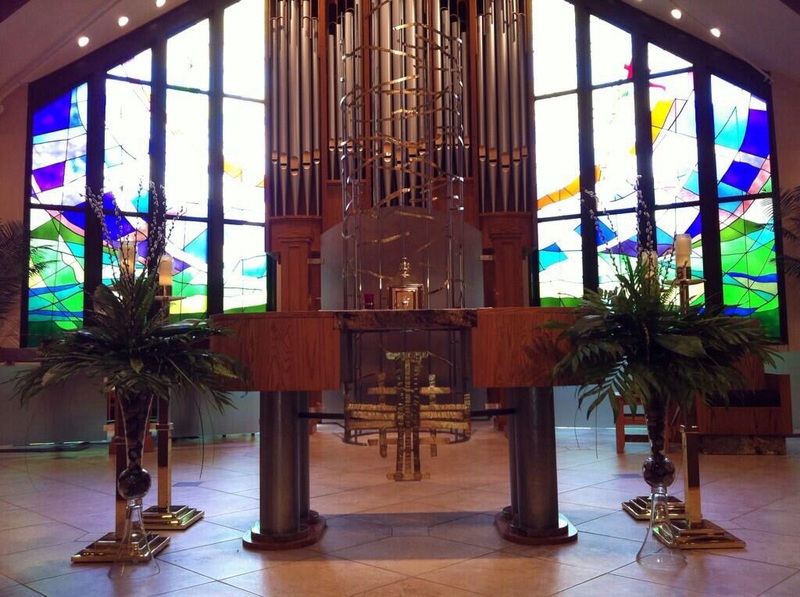 The altar dedication by Bishop Timothy L. Doherty – Diocese of Lafyette-in-Indiana, Liturgy DVD is available. 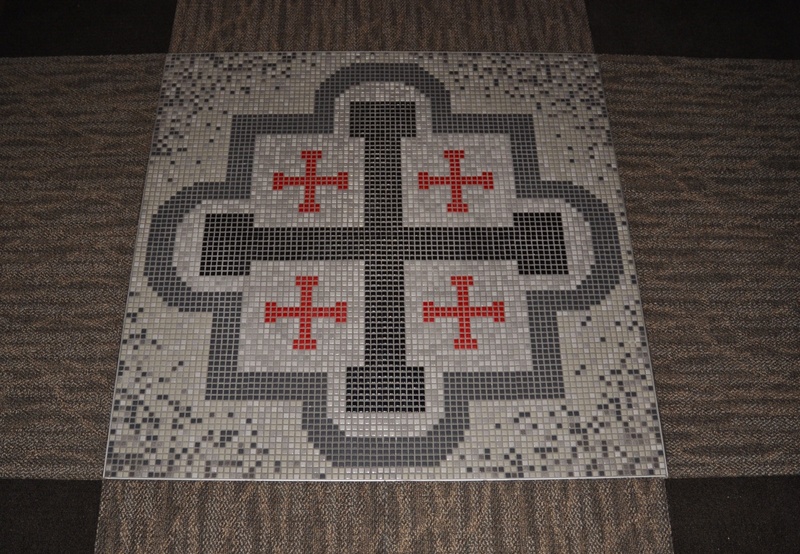 At the center of the center of the church where the aisles meet is a mosaic Jerusalem cross. Each red cross depicts the gospel writers, encouraging others to go out in 4 directions to spread the Gospel message.